Packaging is all about transporting large amounts of cargo safely and securely. It’s important to have tools that will separate, protect, and organize the contents of any given package. This is why you’ll want to have corrugated partitions. In addition to keeping contents separate, these partitions also add an extra layer of protection. They are particularly important if you’re transporting products that are fragile; the partition will keep individual units from bumping into each other and potentially breaking. Also, they’re quite lightweight, so they won’t add much to the package’s total weight. Another advantage of corrugated partitions is the fact that they can make it easier to keep precise inventory. Once they are in place, a person can look into a box and instantly see how much of a certain product is present. This is much more efficient than trying to sift through a package where everything has been thrown together. Not all products call for the same kinds of partitions. After all, they have to match the size and shape of the goods they’re protecting. They are particularly helpful for niche suppliers who deal in products of unusual configuration. When purchasing partitions, you will need to find a company that can make them in any style that you might require. The Bassford Packaging Corporation understands the importance of corrugated partitions. This is why we have an entire assembly line devoted to their production. We can quickly make large numbers of partitions that will meet your exact specifications. Our team has decades of experience when it comes to packaging materials. Their combined experience enables them to produce at a quick pace without sacrificing any quality. 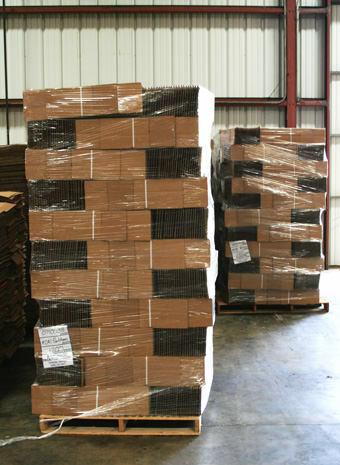 With Bassford Packaging Corporation, you’ll be able to get the corrugated partitions that you need.